The following article was written by Gary Chartier and published on his blog, Liberalaw, June 22nd, 2009. I’d like to try to tie together and expand my observations re. the great “socialist”/“capitalist” terminological debate that’s been proceeding at C4SS and AAE. deprivation (that is, persistent, exclusionary poverty, whether resulting from state-capitalist depredation, private theft, disaster, accident, or other factors. “Socialism” in this sense is the genus; “state-socialism” is the (much-to-be-lamented) species. Indeed, using the “socialist” label provides the occasion for a clear distinction between the genus “socialism” and the species “state-socialism.” Thus, it offers a convenient opportunity to expose and critique the statist assumptions many people reflexively make (assumptions that make it all-too-easy for political theory to take as given the presupposition that its subject matter is the question, ‘What should the state do?’). I am more sympathetic than perhaps I seem to the claims of those who object to linguistic arguments that they fear may have no real impact on anyone’s political judgment. I wouldn’t dismiss as silly someone who said that no market anarchist could employ “socialist” without creating inescapable confusion. So the first thing to say, I think, is that the same is true of “capitalism.” It’s a word with a history, and the history is, very often, rather less than pretty. Consider people on the streets of a city in Latin America, or Africa, or Asia, or Europe, chanting their opposition to neoliberalism and, yes, capitalism. I find it difficult to imagine that hordes of protesters would turn out in the streets to assail po’-lil’-ol’ private ownership. When a great many people say that “capitalism,” is the enemy, that’s surely because, among many people around the world, “capitalism” has come to mean something like “social dominance by the owners of capital,” a state of affairs many people might find unappealing. 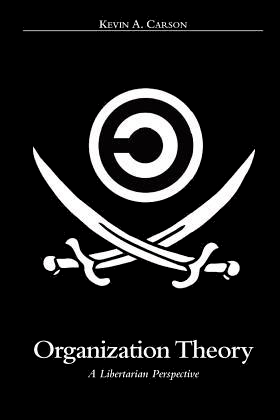 In accordance with the kind of libertarian class analysis it’s easy to find in the work of people like Murray Rothbard, John Hagel, Butler Shaffer, and Roderick Long, Kevin Carson—author of the original C4SS article and Stephan Kinsella’s target (to Kinsella’s credit, he is not only blunt but also good-natured)—maintains that this social dominance is dependent on the activity of the state. Remove the props provided by the state, he argues, and “capitalism” in this sense—the sense in which the term is employed pejoratively by millions of people who have no ideological investment in statism or bureaucratic tyranny—is finished. That doesn’t mean that the market anarchist must somehow have forgotten her commitment to markets. As Kevin, Brad, Charles, and others have observed, as a historical matter there clearly have been people who have argued for the abolition of state-supported privilege and who have enthusiastically favored freed markets who have worn the label “socialist” confidently. Tucker and Hodgskin wouldn’t have agreed that socialism is synonymous with collective ownership. Rather, they would have said, various schemes for state ownership (or for collective ownership by some quasi-state entity) are ways of achieving the underlying goal of socialism—an end to bossism in the workplace, the dominance of the owners of capital in society, and to significant, widespread deprivation. But, Tucker and Hodgskin would have said, these are both unjust and ineffective means of achieving this goal—better to pursue it by freeing the market than by enhancing the power of the state. Of course, if “socialism” means “state [or para-state] ownership of the means of production,” there is no sense in characterizing Carson or any other market anarchist as defending “clearly pro-socialist positions.” On the other hand, if “socialism” can have a sufficiently broad meaning—one compatible with market anarchism—that it makes sense to say that Kevin (or another market anarchist) does defend such positions, then it is unclear why talk of “socialism” should be objectionable. Carson, for one, clearly supports the existence of private ownership rights. And I have seen nothing to suggest that he would disagree with the claim that market interactions have to feature non-state ownership if they are to be voluntary. He’s consistently clear that there could, would, should be alternate kinds of property regimes in a stateless society, but none of those he considers appropriate would be rooted in coercion. So I’m puzzled by the implication that he’s an opponent of private ownership. None of that means that one can’t point to despicable regimes (Pol Pot, anyone?) who’ve worn the “socialist” label proudly. But surely if the idea is to point to despicable applications of a term, one can do the same with “capitalism” as with “socialism”? (Think Pinochet-era Chile.) 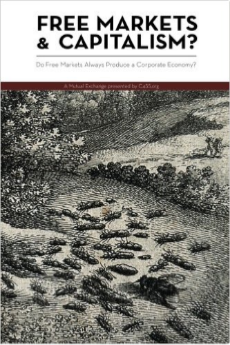 The association of “capitalism” with mercantilism and corporatism and the dominance of entrenched elites is hardly a creation of left libertarians and other market anarchists: it’s an association that’s common in the minds of many people around the world and which is thoroughly warranted by the behavior of states and of many businesses and socially powerful individuals. So, in short, I’m not sure that using “socialism” as the label for a particular sort of market anarchist project, or of “capitalism” for what that project opposes, has to be seen as just an exercise in semantic game-playing. 1. Emancipatory intent. For instance: labeling a particular sort of market anarchist project “socialist” clearly identifies its emancipatory intent: it links that project with the opposition to bossism and deprivation that provide the real moral and emotional force of socialist appeals of all sorts. 2. Warranted opposition to “capitalism.” Thus, identifying one’s project as “socialist” is a way of making clear one’s opposition to “capitalism”—as that term is understood by an enormous range of ordinary people around the world. The “socialist” label signals to them that a market anarchist project like Kevin’s is on their side and that it is opposed to those entities they identify as their oppressors. 3. 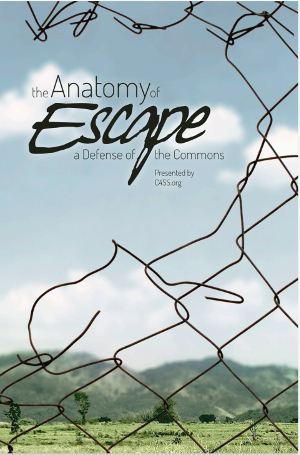 Forcing the state-socialist to distinguish between her attachment to ends and her attachment to means. A final rationale: suppose a market anarchist like Kevin points out to the state-socialist—by sincerely owning the “socialist” label—that she or he shares the state-socialist’s ends, while disagreeing radically with the state-socialist’s judgments about appropriate means to those ends. This simultaneously sincere and rhetorically effective move allows the market anarchist to challenge the state-socialist to confront the reality that there is an inconsistency between the state-socialist’s emancipatory goals and the authoritarian means she or he professes to prefer. It sets the stage for the market anarchist to highlight the fact that purported statist responses to bossism create more, and more powerful, bosses, that the state is much better at causing deprivation than curing it. Thus, the market anarchist’s use of “socialism” creates an occasion for the state-socialist to ask her- or himself, perhaps for the first time, “Am I really more attached to the means or to the end?” I realize that what I intend as a rhetorical question may not—if the state-socialist cares more about power than principle—elicit the intended answer. 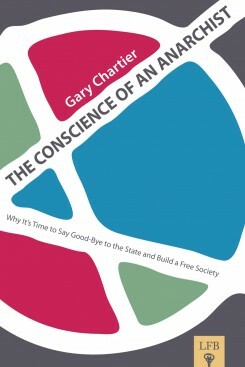 But it seems to me that, for many state-socialists, the recognition that the left-wing market anarchist sought socialist goals by non-statist means provides the state-socialist with good reason to rethink her attachment to the state, to conclude that it was pragmatic and unnecessary, and that her genuinely principled attachment was to the cause of human emancipation. Now, it is obviously open to a critic to maintain that she has no particular concern with workplace hierarchies or with deprivation, or that they should be of no concern to the libertarian-qua-libertarian, since objections to them do not flow from libertarian principles. 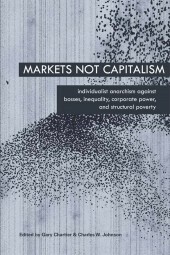 I am happy to identify as an anarchist who favors markets and property rights (though my Aristotelianism and Thomism disincline me to characterize them in the same way as Stephan), as well as individual autonomy. But I do not ask myself whether my appreciation for “socialism” in this sense is something to which I am committed qua libertarian. Rather, my willingness to identify as a libertarian is licensed by a more fundamental set of moral judgments which also make “socialism” in the relevant sense attractive, and which help to ensure that the senses in which I am a libertarian and in which I am a socialist consistent. Now, it happens to be the case that I agree with Kevin, Roderick, and others that this dominance is dependent in large measure on state abuses. But I don’t want simply to emphasize my objection to these abuses—though I certainly do—but also to express my opposition, per se, to the dominance of the owners of capital, thus understood. That’s why I am disinclined to regard talk of “socialism” as important, as highlighting, at minimum, the trajectory toward which the market anarchist project be thought to lead, and as identifying morally important values to which my sort of market anarchist, at least, is committed, and which do not seem to me like good candidates for the status of “particular interests,” if these are understood as arbitrary, even if morally licit. I am avowedly opposed to the institutionalized use of force against persons, and against their (Aristotelian-Thomist) ownership rights, and I am quite willing to say so loudly or clearly. That makes me, by my own lights, a libertarian. But I am not prepared to dismiss my invocation of “socialism” as a label that has not lost its usefulness for the left-libertarian project, as simply an expression of individual preference with which no good libertarian ought to interfere, simply because interference would be unreasonably aggressive. Rather, “socialism” names a set of concerns, including ones regarding attractive patterns of social organization, that there is good reason for left-libertarians whole-heartedly to endorse.